When the court grants a person probation, the defendant is typically able to avoid incarceration, in full or in part, so long as they obey the rules of their probation or parole. These are often known as "terms" or "conditions" of probation or parole. Typical terms include drug testing, maintaining one's address, and sometimes even attending support or rehabilitation groups. Adherence to these terms are overseen by a probation officer appointed by the county. In Bucks County, the Adult Probation Department of the Bucks County Court of Common Pleas, which is located in Doylestown, PA, will assign a probation officer to supervise a defendant. When a person is accused of violating their probation, they will face negative consequences from the court. These consequences can include having to start their probationary period over from the beginning or possible placement into incarceration and loss of probation privileges. Defendants who face these accusations are given a brief, two-part hearing process to defend themselves against these allegations. The first hearing in this process is known officially as a "Gagnon I hearing," however, it is sometimes also referred to as a detainer hearing. The hearing itself has two purposes, the first of which is to make a determination of whether or not a person is to remain under state custody. The second purpose is to see if the probation officer can establish "probable cause" to bring allegations of violations against the defendant. These hearings are somewhat more casual than standard hearings, and are often held in front of a hearing officer rather than a judge; in addition, the probation officer presents the evidence rather than a prosecutor. Defendants are permitted to present their own supporting evidence and obtain legal representation for these matters. The second hearing in the process is formally known as a Gagnon II Hearing, or sometimes a "Violation of Probation/Parole Hearing;" also known as a VOP hearing. This is a much more formal hearing and will be held and decided upon by a judge. In addition, a prosecutor will be presenting the evidence against the defendant in these hearings. Unlike standard criminal proceedings, these hearings will use a standard of "a preponderance of evidence" instead of the usual "beyond a reasonable doubt" standard. This is a much lower standard of evidence and will be much easier for prosecutors to prove in court. Can a probation violation attorney help lift a detainer in Bucks County? Lifting a detainer in Bucks County is not easy, but depending on the circumstances, may be possible. The position of the Bucks County Probation Department, as may be expected, will generally not help defendants facing alleged probation or parole violations in Doylestown, PA. For example, the defendant's probation officer will almost always recommend that the detainer remain "in place" at the Gagnon I hearing pending the Gagnon II VOP hearing; which would generally take place before the defendant's "back" judge (the judge who sentenced the defendant)​. If the proper steps are taken and an aggressive defense is mounted, however, the likelihood of getting the detainer lifted at the detainer hearing in Doylestown will be greatly increased. In fact, in limited instances, it may even be possible to get the "back" judge to order lifting the detainer in advance of the detainer hearing itself - if the judge approves that the detainer be lifted in advance of the Gagnon I hearing in Doylestown, the question of whether the detainer would otherwise remain in place will not be at issue at the time of the hearing itself. The Bucks County Adult Probation and Parole Department has three separate locations. The main office is located in the Bucks County Courthouse, 55 East Court Street, Doylestown, PA 18901. The "General Supervision Units" (other than Upper Bucks) are located at 600 Louis Drive, Suite 100, Warminster, PA 18974. The Upper Bucks "General Supervision Unit" is located in the Government Services Center at 261 California Road, Suite 3, Quakertown, PA 18951. When a person is facing accusations of probation or parole violations, they can face severe consequences. Because of the low standards of evidence in these matters, a person can be found in violation at the drop of hat. For this reason, it is of utmost importance to build an aggressive defense against these claims, especially when the potential consequences are so serious. An experienced criminal defense attorney can strongly influence the outcome of these hearings. Attorney Joseph D. Lento worked as a probation officer while attending Temple University's Beasley School of Law at night, and he knows which defense strategies will work best when a client is facing a violation of probation or parole in Doylestown. 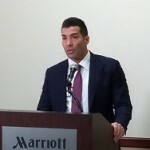 Whether the violation is due to a new arrest, positive drug screen, failure to report, or any other factor, Joseph Lento knows how to approach the Bucks County Court, the judge, the Bucks County Prosecutor's Office, and the probation officer, and he is not satisfied until he gets his clients the best possible result. Joseph's experience both behind the scenes and on the front lines allows him to understand a client's probation violation from all angles, and allows him to find and employ the most effective strategies to get favorable outcomes for any client. If you or a loved one is involved in proceedings for a probation or parole violation in Doylestown or Bucks County, PA, contact attorney Joseph D. Lento today.